Eric Cantor, the former House Majority Leader, said police body cameras could help prevent the kind of unrest that has gripped Baltimore this week. Riots and looting have hit a number of American cities in recent months following allegations of police brutality. The latest violence occurred this week in Baltimore following the funeral of Freddie Gray, a man who died after being arrested. The unrest has prompted increased calls for police to wear body cameras to act as a deterrent against brutality but also protect officers from being wrongly accused of aggression. 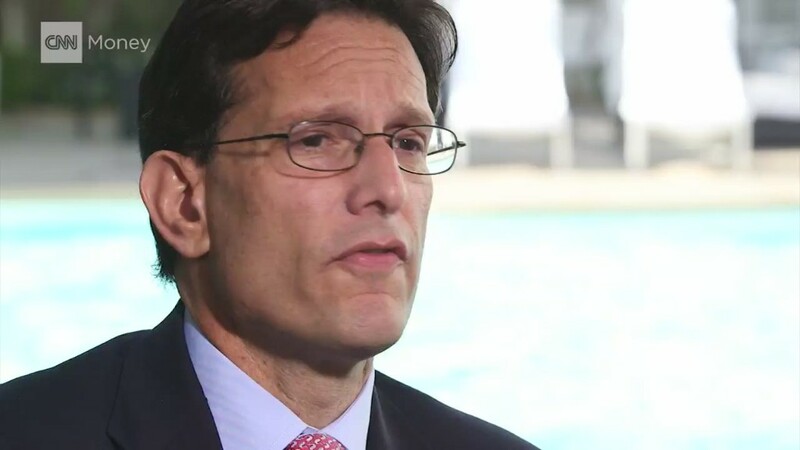 Cantor, the former Republican Congressional leader, told CNNMoney's Cristina Alesci that police body cameras could help assure the public "there isn't activity that may not be acceptable" going on. However, Cantor, who took a job at an investment bank on Wall Street after losing an historic primary challenge, cautioned against painting law enforcement with a broad brush. "Here's the thing: There may be a few bad actors but my god we have some dedicated law enforcement in this country," Cantor said on Wednesday on the sidelines of the Milken Global Conference in Los Angeles. "Without them and without the system of laws they enforce we wouldn't be this great country. I hate to sit here and pass blame on the entire community of law enforcement." More digital cameras coming? Still, investors are betting more cities will adopt wearable police cameras despite their high costs and apprehension from local law enforcement. That's why shares of two manufacturers, Taser (TASR) and Digital Ally, (DGLY) have soared over the past year. Baltimore's city council approved a bill last year that would have required police to wear camera. However, the measure was vetoed by Mayor Stephanie Rawlings-Blake over questions about funding and whether the council had authority. Rawlings-Blake submitted her own proposal for wearable cameras in February. Violence doesn't help: While Cantor said that allegations of police brutality "for sure" need to be looked at, he is deeply concerned by lawlessness breaking out in cities like Baltimore. "I don't think that lawlessness like we've seen breaking out in the streets is the answer." Those comments echo ones made by President Obama, who on Tuesday condemned the "criminals and thugs who tore up" Baltimore and called the actions "counterproductive." Cantor said the underlying cause of the unrest in cities like Baltimore is the "lack of upward mobility and opportunity for so many people." He added, "I don't think anybody can deny the fact that there is a growing gap between the rich and the poor." CNNMoney digital correspondent Paul LaMonica contributed to this report.